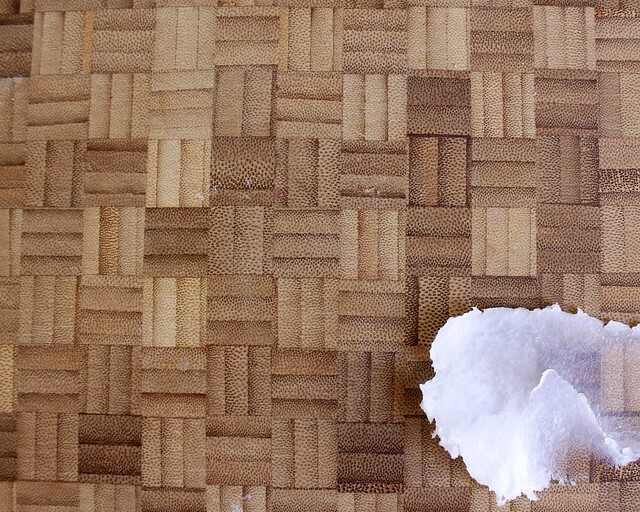 I've shown you how to clean your cutting board with just salt and lemon, now I'd like to share with you a way to preserve your wooden cutting board with just one ingredient from your cupboard. Coconut oil. Coconut Oil is magic. I'm serious, it has magical powers. Have you read all the articles about how it's good for your skin and your gut? 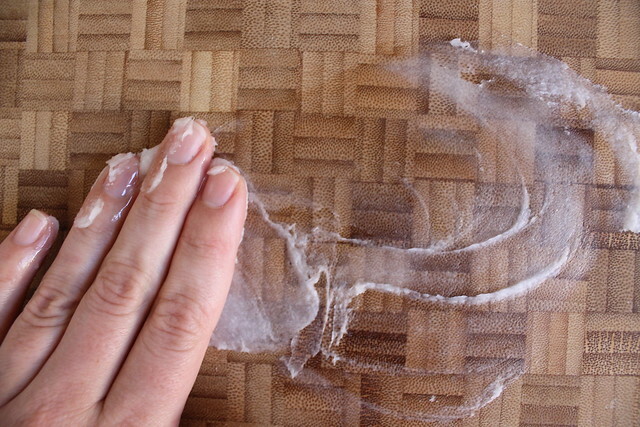 I can save that for another post, but food grade coconut oil is good for your wooden cutting board because it is highly resistant to rancidity. If you use any other cooking oils like olive or canola, it will form bacteria. Coconut oil does the trick. 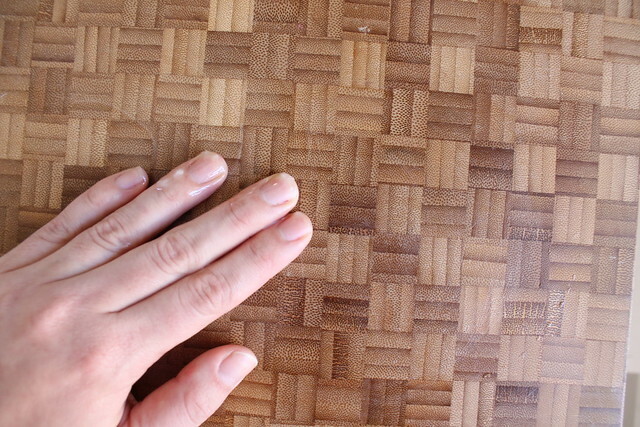 Take approximately a teaspoon of coconut oil and gently spread it into every inch of the cutting board, rubbing in the direction of the grain. Apply 3-4 coats and let dry for 6 hours. I reapply the oil every month or so - mostly when the wood is starting to look dry. So after the initial treatment, 3-4 coats every month or just one coat needed? From how I read it and intend to do it, 3-4 coats at one time. Then let dry for the 6 hours. Repeat the whole activity, monthly. That’s bamboo. Bamboo is a grass, not wood. Men! Do you notice how these guys know so much? Or are they, like my daughter, women who prefer men’s names and interests? WHATEVER starts looking rough and dry, like your skin, work in a bit of coconut oil, as much as you like. If there is a lot of goo left on the surface, WIPE IT OFF with cheese cloth and maybe some essential oil that smells good!